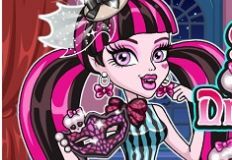 Next we want you to join us and play a new and fun game in which the main character is one of your favorite girls from Monster High, Clawdeen Wolf. 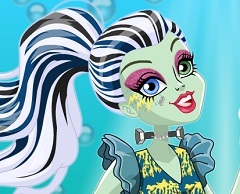 This new and fun game is from the Glowsome Ghoulfish series where you are invited to join her and help her dress up and look like an amazing ghouldfish. 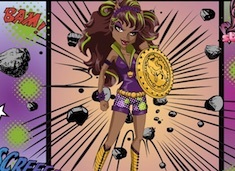 When it comes to Clawdeen it is all about fashion and she wants to look amazing in her new adventure. 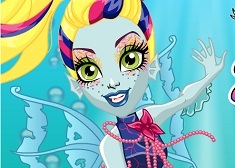 In the game she has chosen some of her favorite hairstyle, ghoulfish tails and accesories, so now she cannot decide and wants you to do that for her. 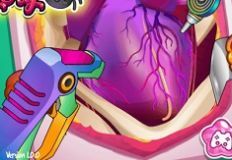 You already know the rules, you will have to take a look at everything the game has to offer and make different combinations until you find the perfect one for her. 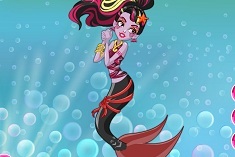 Clawdeen is excited and she cannot wait to go on this new adventure as a ghoulfish, so she better look amazing. 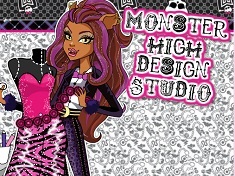 Come and play this new game with Clawdeen Wolf and have alot of fun, here on games-kids.com!